Awesome walk-out ranch home located in the highly-desirable & meticulously maintained master-planned community of Tollgate Crossing, a SE Aurora neighborhood nestled up against the Aurora Reservoir. 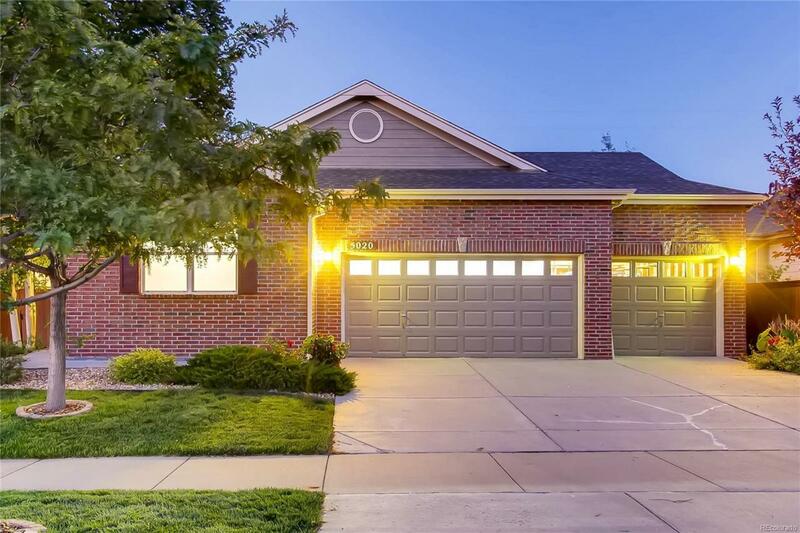 The home is located in the heart of the prestigious & award-winning Cherry Creek School District while providing easy access to E-470, I-225, the DTC, DIA, Buckley AFB & the Southlands Mall shopping area. The home has numerous upgrades including 42" solid wood cabinets, beautiful hardwood floors in the kitchen area, exterior paint(2018), newer hot water heater(2015), newer roof(2014), newer carpet, large laundry room with folding station & NO neighbors behind you! THE TESLA SOLAR PANELS ARE A FULLY PREPAID LEASE & TRANSFER TO THE BUYERS WITHOUT A LEASE PAYMENT! THE SAVINGS ARE HUGE! Enjoy our gorgeous Colorado weather on the back deck or in the beautiful backyard. The walkout basement awaits your creative touch, maybe a rec room for the kids or a "man cave" for dad or both, it's MASSIVE!